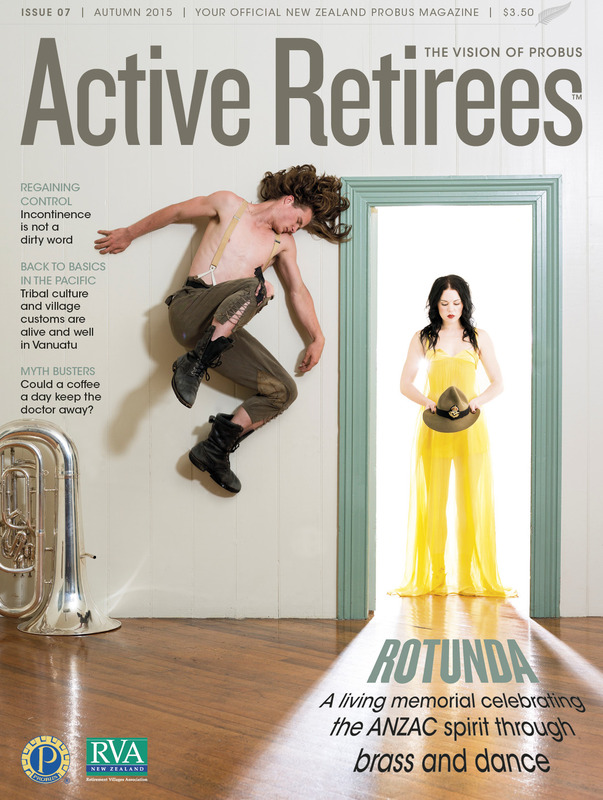 Active RetireesTMis the official magazine of accredited Probus clubs in New Zealand targeting over 21,000 members. Active RetireesTM is a lifestyle publication with articles across a range of topics including travel, health, food and wine, entertainment, motoring, and investment. Each edition also includes Probus club news. Published quarterly, Active RetireesTMis designed to meet the needs of a whole generation of informed, healthy and active retirees. Advertisers and contributors to Active RetireesTM New Zealand magazine acknowledge that they are aware of the provisions of the Fair Trading Act 1986 in relation to false and misleading advertising or statements and other unfair practices and the penalties for breach of provisions of that Act, as well as the requirements of the Advertising Standards Codes of Practice. The publisher accepts no responsibility for the content of advertising or contribution materials, including, without limitation, any error, omission, inaccuracy or legislative breach therein. Opinions expressed by contributors are their own and not necessarily endorsed by Active Retirees TM New Zealand magazine or the publishers. Advertisers and contributors are solely responsible for the content of advertising or contribution material which they submit to us, including ensuring that it complies with relevant legislation. All material in Active Retirees TM New Zealand magazine is copyright material, and may not be reproduced, published or transmitted in any manner without the express written permission of the publishers. Active RetireesTM gives no warranties of any kind concerning Active Retirees TM or the material contained in the magazine. All articles are general in nature and nothing in the material is provided for any specific purpose or at the request of any particular person. Individuals should seek expert advice before acting on any information. The advertising of inclusion of a product or service in the magazine does not constitute advice about the appropriateness, value or suitability of that product or service.